By Michael Sebastian . Published on August 26, 2013. Magazines' tablet editions might offer a promising future, but they're still struggling to gain wide traction. Through the first half of 2013, magazines reported 10.2 million subscribers to their digital replica editions, according to the Alliance for Audited Media, good for just 3.3% of overall circulation. The 22-year-old magazine, which previews and reviews videogames, has a digital replica circulation of nearly 3 million, making it the top circulating digital edition, the Alliance for Audited Media said. The gulf between Game Informer and every other magazine is so vast that the digital circulations of the next 24 magazines combined -- including Cosmopolitan and US Weekly -- barely crack 3 million. When GameStop rolled out its loyalty program in 2010, Game Informer's digital circulation was just 4,844. It climbed to 223,000 in 2011, 1.2 million in 2012 and nearly 3 million today. GameStop has ramped up marketing around PowerUp in Europe and Australia and has seen growth in Game Informer subscriptions in those areas, the company said during its second quarter earnings call Thursday. Game Informer also has an impressive print circulation of about 4.9 million. Packaging magazine subscriptions with loyalty or membership programs or in-store purchases is a long-held tradition. AARP members receive the organization's magazine, which is the top circulating print title. Conde Nast and the Gap have partnered to offer subscriptions to Lucky magazine with specific Gap purchases. Public radio stations often give magazine subscriptions to their members. Across the magazine industry, digital replica circulation has increased slowly but steadily in the last year. Although the total circulation remains small, it doubled in the first six months of 2013. Some publishers have touted digital readership as a way forward for the magazine industry as advertisers warm up to iPad editions. The 58 magazine iPad editions tracked by the Publishers Information Bureau posted a 24.5% gain in ad units through June. Still, tablet circulation has not increased as rapidly as publishers had hoped. 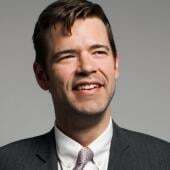 Mr. Borm attributed Game Informer's high circulation partly to the success of the PowerUp Rewards program. He also credited the overall popularity of video games and readers' trust in the magazine. "While getting the same dependable and entertaining coverage of games as found in our print editions, our digital editions satisfy the techy side of a gamer's appetite with embedded videos, animations and rich screen shot players," Mr. Borm said. The publication and its editorial direction and staff are managed as a completely separate and independent subsidiary of GameStop Corporation, according to a GameStop spokeswoman. 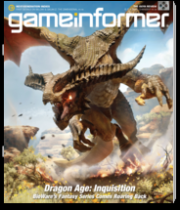 Tony Sarcone, SVP-marketing initiatives and insight at MPA - The Association of Magazine Media, said Game Informer's digital growth is an example of magazine media's cross-platform success. "We see that digital edition circulation for many magazine media companies have been growing steadily," he said in an email. "This is a trend that we expect to continue for some time." GameStop has struggled to regain its footing in a shifting marketplace. On Thursday, the company posted its second-quarter earnings, which showed net earnings of $10.5 million, down from $21 million in the same period last year. Still, the company beat analysts expectations.